Fire will have a home away from home for the 2019/20 seasons thanks to Best Western Plus Lake Kawana Hotel. 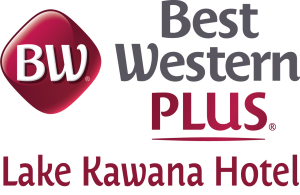 We are pleased to announce that Best Western Plus Lake Kawana Hotel have signed on as a two year sponsor with the club. This partnership will give our Senior Men a home at Best Western hotels while they are travelling and give our visitors somewhere to stay on the Coast. Club members will also experience the benefits of the partnership by receiving exclusive rates and offers throughout 2019 and beyond. The Best Western Plus Lake Kawana Hotel is an 81 room 4.5 Star hotel offering both corporate and leisure guests a high quality accommodation experience with a number of room options that include Deluxe and Executive rooms and suites. The hotel offers one of a kind purpose-built Corporate and Group Accommodations, along with conference and function facilities to compliment the hotels style and those of its guests. Best Western Kawana General Manager John Orning is excited to partner with the Club and looks forward to seeing how the partnership develops. “What we have found so far even in the very early stages of this partnership has been the fantastic level of assistance from the club. We know that we can offer their visitors with great accommodation options and this in turn assists the club in offering another level of service to their visitors. We are looking forward to seeing how the partnership develops over the first year and to a mutually successful venture,” he said. We are currently preparing for the coming Christmas / Holiday Season with many private Christmas events. We are open 24/7, 365 days a year with our restaurant open for Breakfast, Lunch & Dinner (Mon-Fri) | Breakfast & Dinner (Sat-Sun). Christmas Day trade for the Restaurant will be Breakfast as normal / no lunch and limited Dinner Menu. We have the 10% off Best Available Rate of the Day in place for Accommodation for Sunshine Coast FC guests.